The more colors you use, the more fantastic your bird will be! 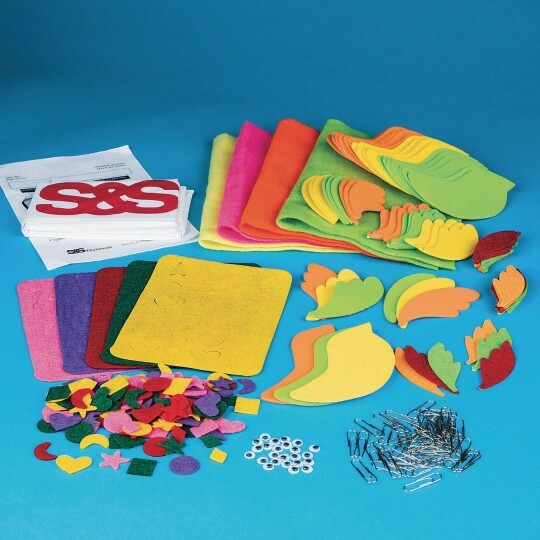 Includes self-adhesive foam birds, neon felt sheets, assorted felt shapes, self-adhesive felt/foam wings, paper clips, wiggly eyes, glue, and instructions. Finished size is approximately 4-1/2"W x 2-1/2". 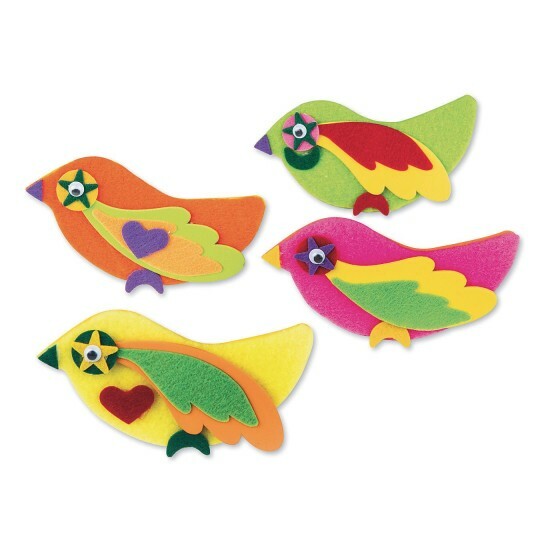 These colorful little birds are lots of fun to make. This is a craft that goes well with lessons on birds.